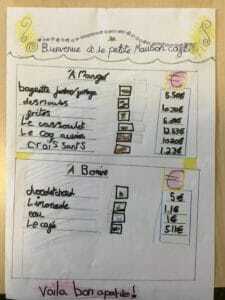 Le Café de Classe Onze et Classe Douse! 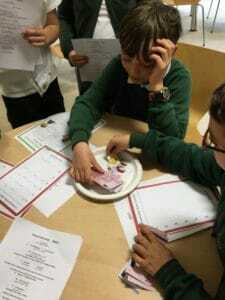 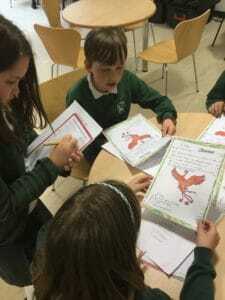 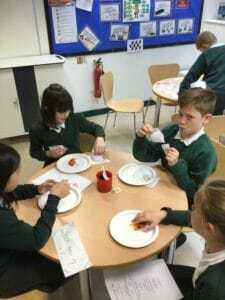 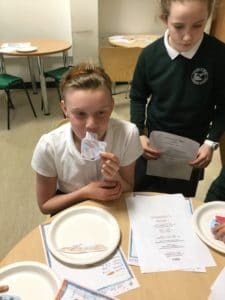 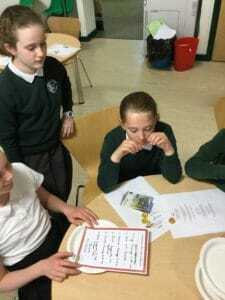 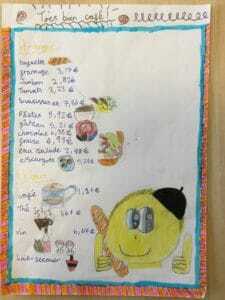 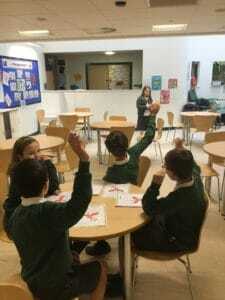 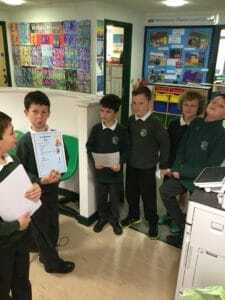 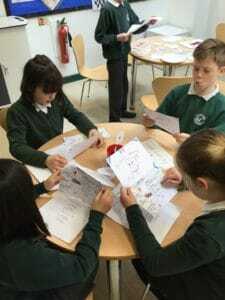 Earlier this term, the children of year 5 were tasked with creating their own menu for a French Cafe. 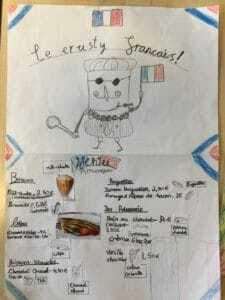 They worked in small groups to research the kinds of foods served in a French Cafe and also created a name for their establishment. 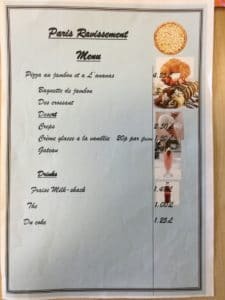 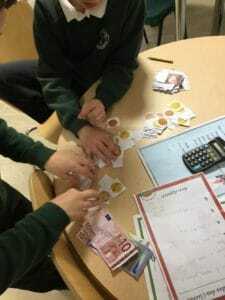 They learnt the French language needed to be both a waiter/waitress and a customer, including greeting customers, taking orders, ordering food and drink, asking for the bill, paying their bill in Euros and giving / receiving the correct amount in change. 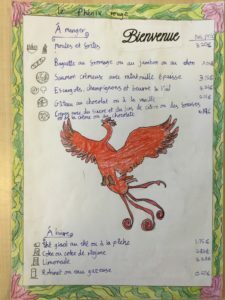 Take a look below at some of their tasty menus! 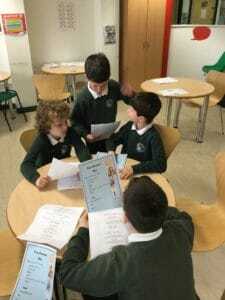 After all their preparations, the children took part in a French Cafe role play (complete with authentic French music!) 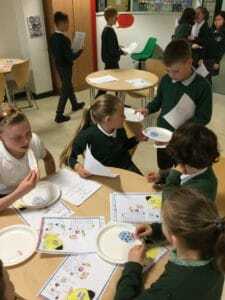 The children had great fun with this activity and it was lovely to see them engaged on a practical journey towards learning a new language.